Since 2010, nine states have tried to strip funding from their local Planned Parenthood chapters. Not three years later, almost all of their schemes have been laughed out of court. In the cases of Arizona, Indiana, and Texas, where legislatures and governors had tried to bar the federally approved provider from participating in state Medicaid, judges ruled that states simply can't do that and expect to receive federal dollars. The governor of one of those states, however, decided that if federal rules won’t allow him to defund Planned Parenthood, so be it. He would achieve his goal by forfeiting hundreds of millions of federal dollars in Medicaid tagged for women's health care. That governor, of course, is Rick Perry of Texas. Since fading from our national memory as the presidential candidate who couldn’t remember the Department of Energy, Perry has gone home to oversee the dissolution of what was once a decent health-care partnership with the federal government, the Women's Health Program. Its replacement, an entirely state-run and -funded program of the same name, launched January 1 with rules that exclude Planned Parenthood. As a result, Texas is no longer eligible to receive the $200 million–plus a year that Medicaid provided to Texas to care for low-income women, a fact that doesn't bother Perry one whit. Perry hasn't won outright; Planned Parenthood has filed lawsuits in state and federal court, and a state court will decide Friday whether to grant an injunction that would temporarily protect Planned Parenthood’s local funding. 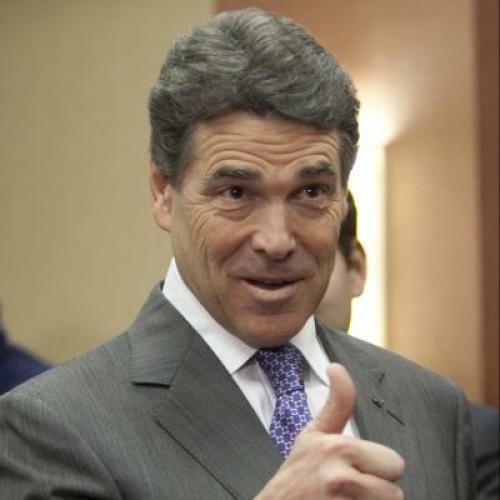 But Perry's success thus far is instructive to other conservatives looking to give Planned Parenthood the boot. (It's not clear who might be the first to reprise the fight, although a Planned Parenthood official said the organization is keeping a fretful eye on onetime antagonist Wisconsin Gov. Scott Walker.) With that in mind, and with the far-right dream of defunding Planned Parenthood alive and well, it’s worth examining just what Texas has sacrificed with all those federal dollars—and what kind of a public health mess it has on its hands as a result. The costs are stark. One-quarter of Texas women are uninsured, and the Women’s Health Program was a reliable way to cover at least some of their needs. But by freezing Planned Parenthood out of the program last week, Texas has forced more than 50,000 of them to search for a new primary care doctor within the Women’s Health Program—and it is not at all clear that the system has the capacity to reabsorb them. Planned Parenthood accounted for about half of Women’s Health Program services last year—mostly in the form of cancer, diabetes, and STI treatment, plus high blood pressure screenings, contraception dispersement, and annual checkups. In many parts of Texas, Planned Parenthood served half of all low-income women enrolled in the Women’s Health Program; in certain areas, that number was as high as 80 percent. And having rejected Medicaid, which provided about $9 to the Women’s Health Program for every $1 the state spent, Texas is now challenged to come up with about $200 million for the program over the next five years. (One proposal is to make up the gap through Medicaid fraud penalties, but the state's method for collecting these is dubious and under heavy fire). All this has taken place at a time when Republican legislators have already slashed the family-planning budget by two-thirds. “This is Rick Perry versus Texas women, literally,” a Planned Parenthood official told me. How exactly did Texas get here? In part, of course, because of Planned Parenthood’s reputation as an abortion provider. In Texas, though, the arm of Planned Parenthood that provided health care services to poor women is separate, legally and administratively, from the one that performs abortions. Nonetheless, in 2011, according to an HHSC spokesperson, Perry and his attorney general, Greg Abbott, directed the HHSC to write into its laws language that would defund Planned Parenthood because it was an “affiliate” of the abortion provider of the same name. In fact, Planned Parenthood is so hated that the HHSC rules include a clause—that Planned Parenthood hopes will not pass judicial scrutiny—that dissolves the entire Women’s Health Program, serving 110,000 needy women, if a court ever allows Planned Parenthood to participate in the program. But the real genesis of the current crisis, Howard proposed, can be found in that August 2011 decision by a Republican-controlled legislature to solve a fiscal shortfall by cutting the family-planning budget by two-thirds. The cuts had the effect of shuttering 60 clinics across the state that once provided everything from oral contraceptives to pap smears. As a result, said Howard, many rural and remote areas of Texas no longer have immediate access to female care providers. The unplanned pregnancies that will result from these cuts, moreover, are estimated to cost the state $231 million. So there you have it. Politicians anywhere who are interested in defunding Planned Parenthood need only follow Texas' roadmap: Give up hundreds of millions of free federal money, launch their own state-run health care apparatus, and steel themselves for the cost of all the unwanted pregnancies that result. Meanwhile, Planned Parenthood is waiting for a court to decide if it can continue to serve Texas’s poor women. Speaking from the State House, Howard told me that her Republican colleagues in Austin are beginning to realize just how drastic those family-planning cuts were, especially now that the costs of resulting unwanted pregnancies are becoming clear. But whether there’s anything those remorseful legislators can do to stop Gov. Perry—“I don’t have a good answer for that right now,” she said.